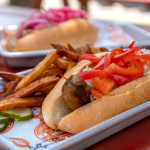 Arizona's Newest Jewel: Ghost Ranch, Modern Southwest Cuisine - Yay Baby! 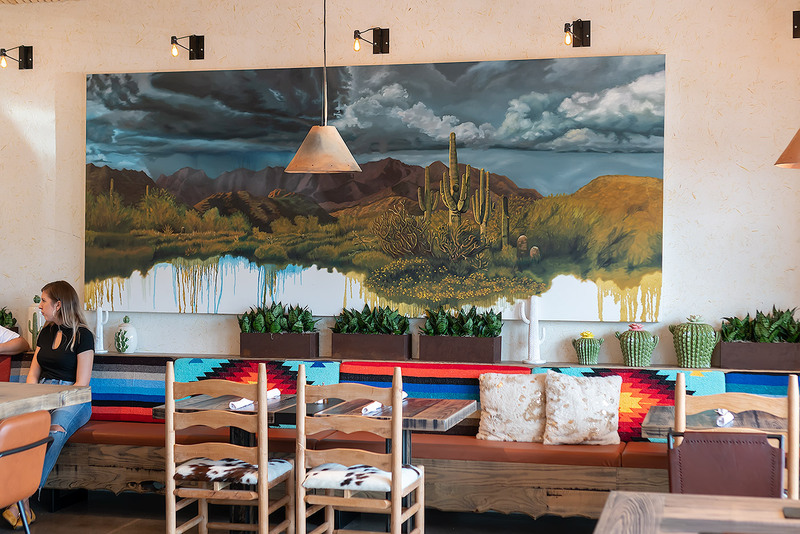 The much celebrated Chef Aaron Chamberlin opened his latest concept, Ghost Ranch: Modern Southwest Cuisine in south Tempe and the Valley should be prepared to have their minds blown! 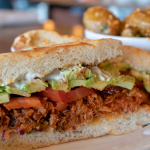 I don’t live in Tempe, nowhere near, but the bold flavors of Ghost Ranch’s cuisine is well worth the drive, from any where in the Valley. 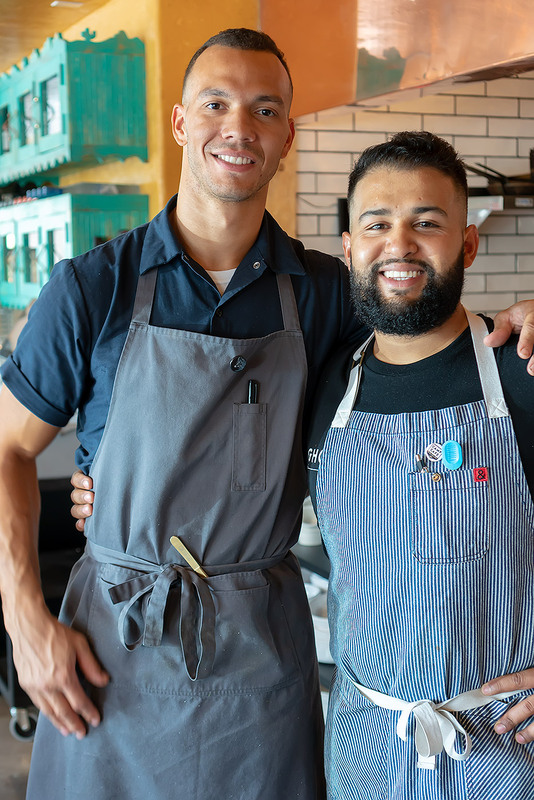 In fact, Chef Chamberlin sought out Chef Rene Andrade to helm the kitchen and ensure the restaurant becomes an Arizona culinary destination. 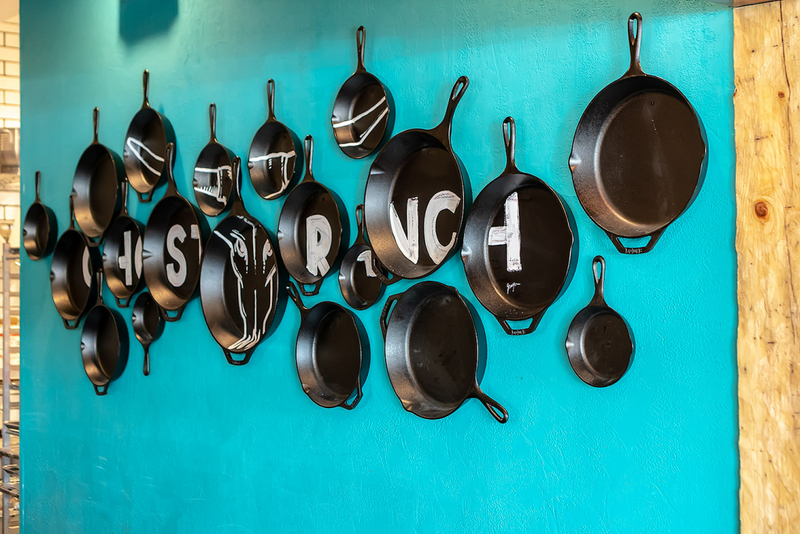 Ghost Ranch is on track to be just that, a true representation of the beauty and delicious delights our state has to offer; rich, vibrant food with strong influences from south of the border. Chef Andrade sources high quality ingredients from local farms and purveyors and the attention to detail is evident in every dish. 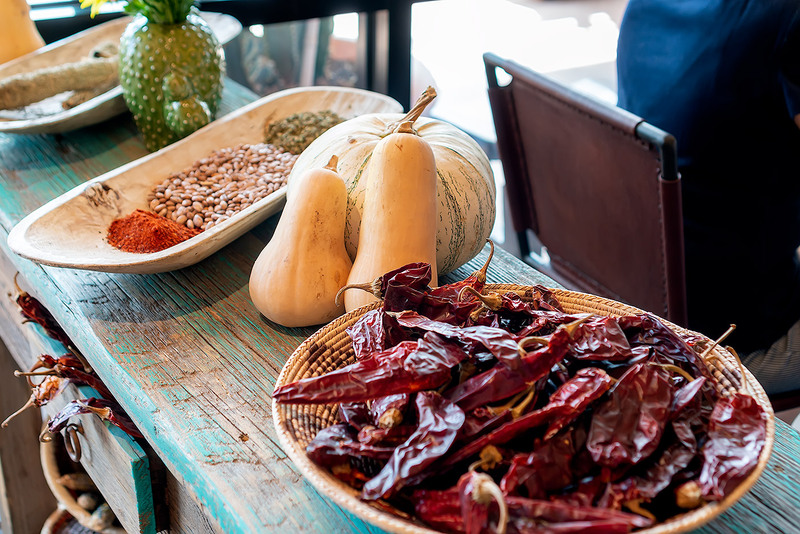 Menu items are vibrant and fresh with a bit of a lighter take on traditional southwestern fare. 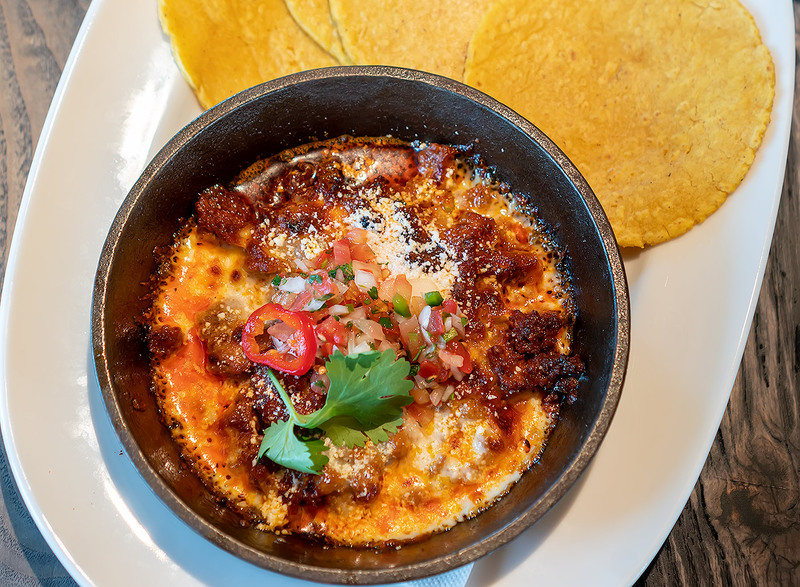 For a bit of indulgence opt for the Queso Fundido, a dish of molten cheese livened up with savory chorizo and pico de gallo. Housemade corn tortillas are served alongside for scooping. 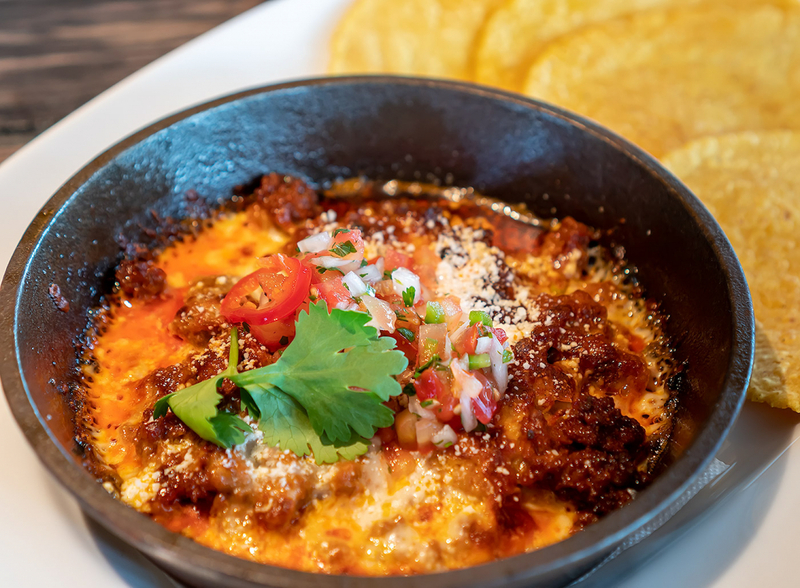 The queso is deliciously spicy and the tortillas are perfectly, soft and hot with a nice chew. I am a sucker for polenta. The cheesier and creamier the better. Ghost Ranch is serving up some of the best I have ever had. They source their polenta from Hayden Flour Mills and then use a magical touch to gussy them up. 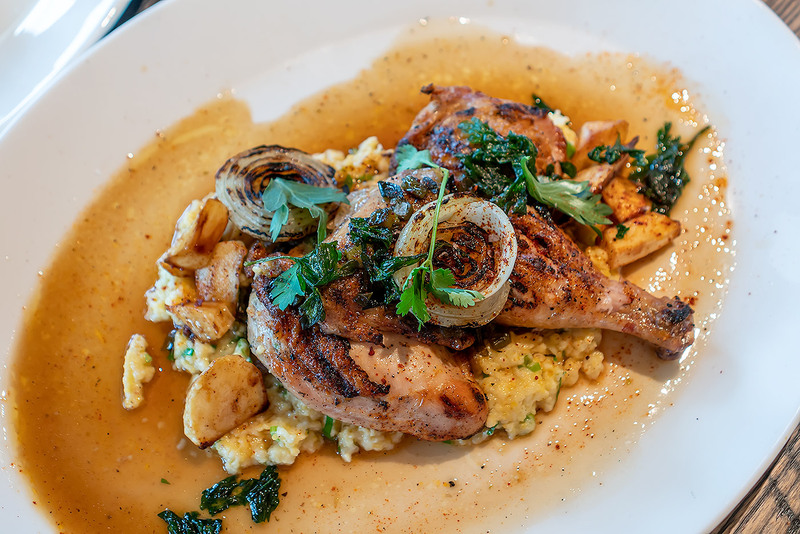 They come as an accompaniment to the Pollo Asado which in itself is splendid, bathed in a green chili jus and served with roasted cippolini onions and root veggies. The juices from the chicken and the jus soak into the polenta making for a hearty and absolutley divine dish. 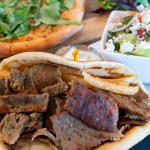 Just as Ghost Ranch showcases the some of the finest ingredients from farms and ranches throughout Arizona, the Sampler Platter showcases some of the best that Ghost Ranch itself offers. 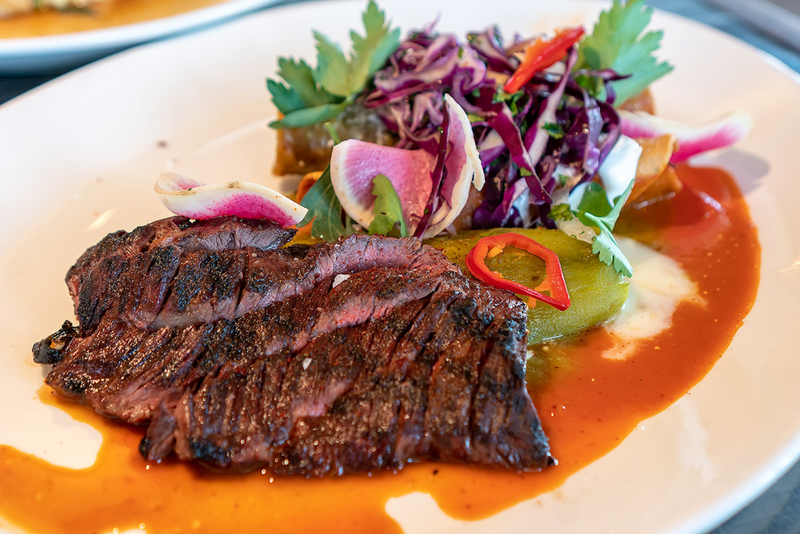 Two different enchiladas, skirt steak and a chile relleno adorn the plate for a belly busting culinary experience. 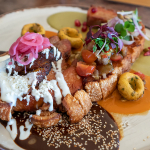 The platter includes one pork and one chicken enchilada, both equally delicious; the meats inside perfectly seasoned, the tortillas crisped to withstand the sauce on top. The steak was expertly cooked to medium, with nice charred edges from the grill and the chile relleno was simple and light, stuffed with just the right amount of cheese. The platter is a wonderful representation of the skill and mastery happening in the Ghost Ranch kitchen. Every fabulous meal deserves a crown of sweetness to cap it off and Ghost Ranch’s offerings do not disappoint. The selection is small but deliciously unexpected. 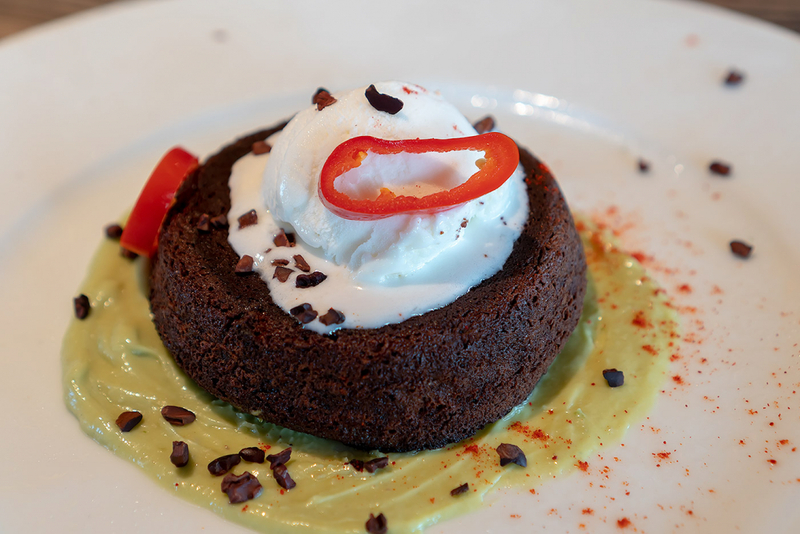 I opted for the Chile Chocolate Cake and was delightfully shocked at the spice level from the chiles. It was a welcomed warmth that was soothed by a zingy avocado lime sauce and creamy coconut gelato. It was a unique dessert befitting a fantastic meal. 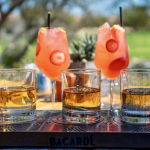 The cocktail offerings are equally notable. 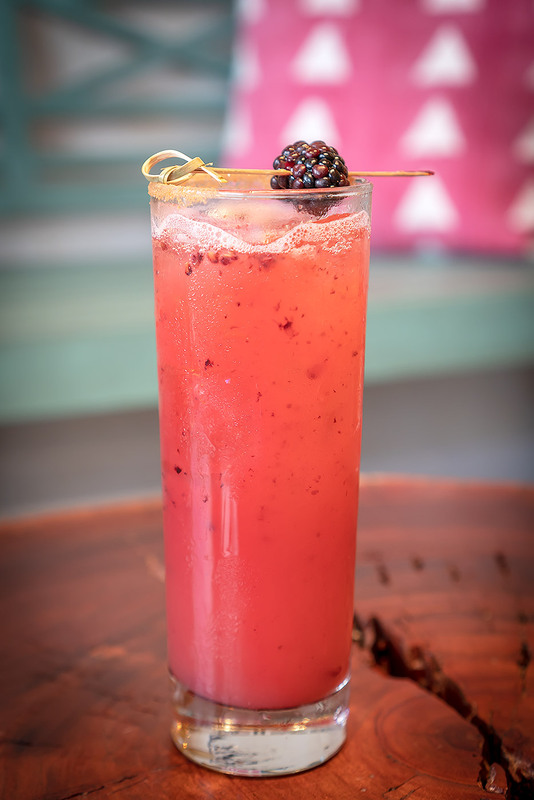 I enjoyed the Chimayo, a punchy concoction made with Suerte Reposado Tequila, blackberries, lemon, apple cider and cinnamon. It was a smooth, slightly sweet libation with spicy notes worthy of a second round. The space is bright with tasteful southwestern flare. It’s equal parts modern and rugged lending for a relaxed atmosphere. Like I said, Ghost Ranch isn’t close but I will happily make the drive east for this up and coming landmark restaurant which is sure to make Arizona proud. 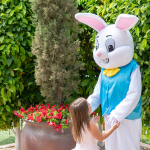 Ghost Ranch is located at 1006 E Warner Rd, Tempe, AZ 85284. Disclaimer: I enjoyed a meal at Ghost Ranch free of charge to help facilitate this post. As usual all opinions are entirely my own.